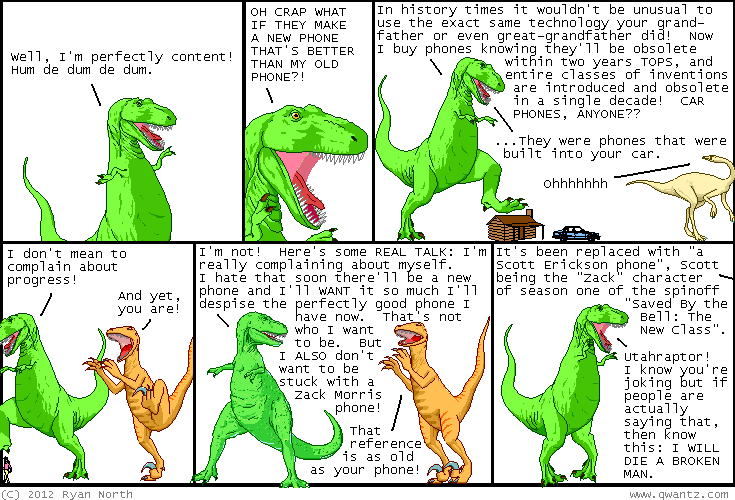 Dinosaur Comics - December 17th, 2012 - awesome fun times! December 17th, 2012: What are you doing TONIGHT? Hopefully it's coming to The Beguiling, Hark A Vagrant!, A Softer World, Bravest Warriors, Adventure Time and Dinosaur Comics holiday party! Me and Kate and Joey and Emily will be there AND there will be a secret Santa gift exchange! It's the third time we've done this and it's always lots of fun.